RELAX IN THE POOL OR LAKE WITH THIS COMFORTABLE FOAM SADDLE. MADE WITH PREMIUM Aqua Cell® FOAM! 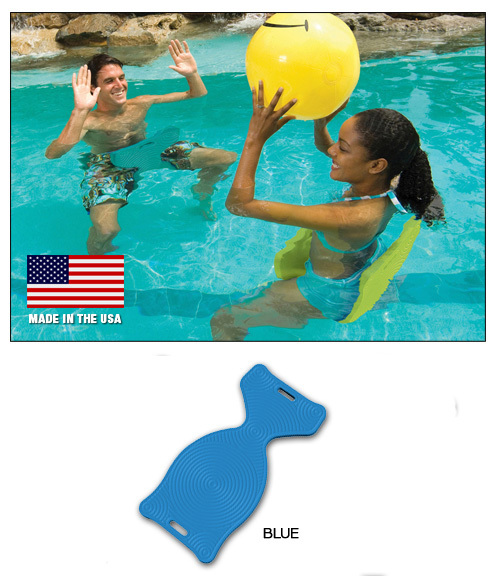 This unique design will provide fun for the whole family in the pool or out at the lake. 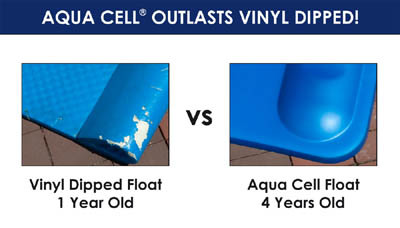 Aqua Saddle is made with premium Aqua Cell® foam, so it will not chip, crack or peel like vinyl dipped floats. Aqua Cell® color permeates the foam so it remains soft and pliable for years. 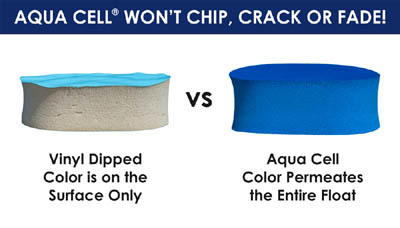 It is also hypoallergenic and it is virtually unaffected by pool chemicals or sunlight. Aqua Cell® foam carries a lifetime buoyancy guarantee! Aqua Saddle is 32 inches long and 16 inches wide. Invest in the "finest foam afloat" this season. Made in the USA.